We have four houses in the Syracuse area: true homes where lives are shared. We live, laugh, cry and pray together. Chores are shared: grocery shopping, cooking, cleaning, mowing the lawn. And so is the fun: birthday celebrations, gatherings with friends and family, vacations. 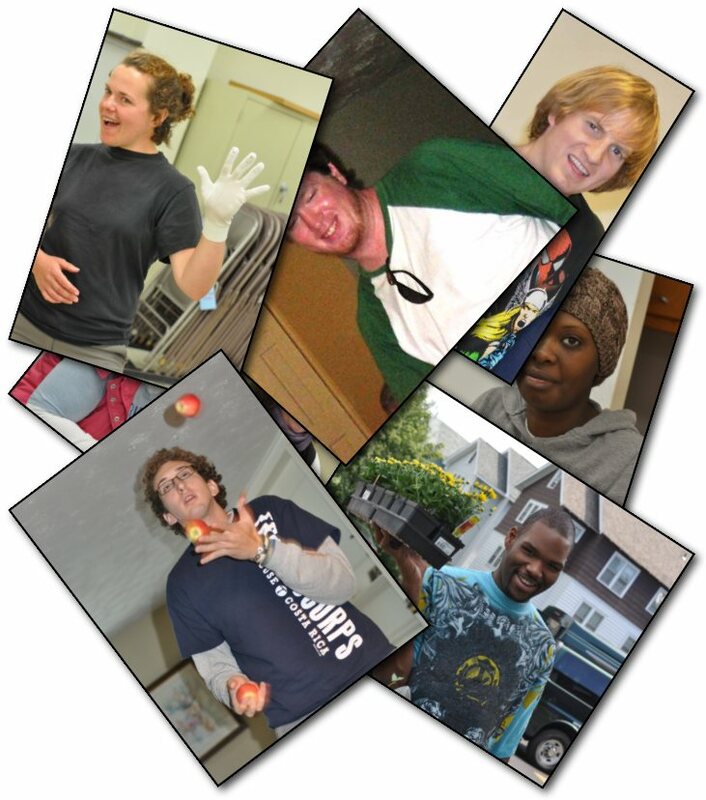 Unlike traditional group homes, with shifts of employees coming and going, in each of our homes you'll find four "core people" (people with disabilities who are the "core" of our community) and assistants who live with them. Not all of our assistants "live in"; some "live out". Our assistants initially commit to come and stay for a year or two. Some stay many years. From right out of college to post-retirement, L'Arche Syracuse has welcomed assistants from the U.S., Africa, Asia, Europe and South America to join our community and live their faith.